This book, originally published in English in 1927 deals with the social state of Russia after eight years of Bolshevist rule and influence up to the end of 1925. Laced with predicitions of failure, the book is nonetheless prophetic in many ways. 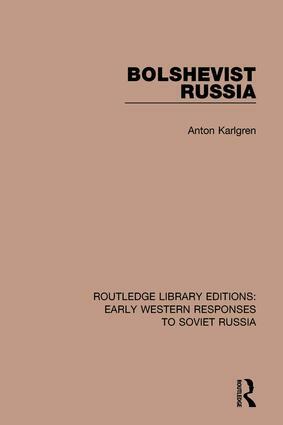 It discusses the limitations in practice of Bolshevist politics and the reality of the Soviet elections of the early 1920s and the growing influence of the Communist Party.